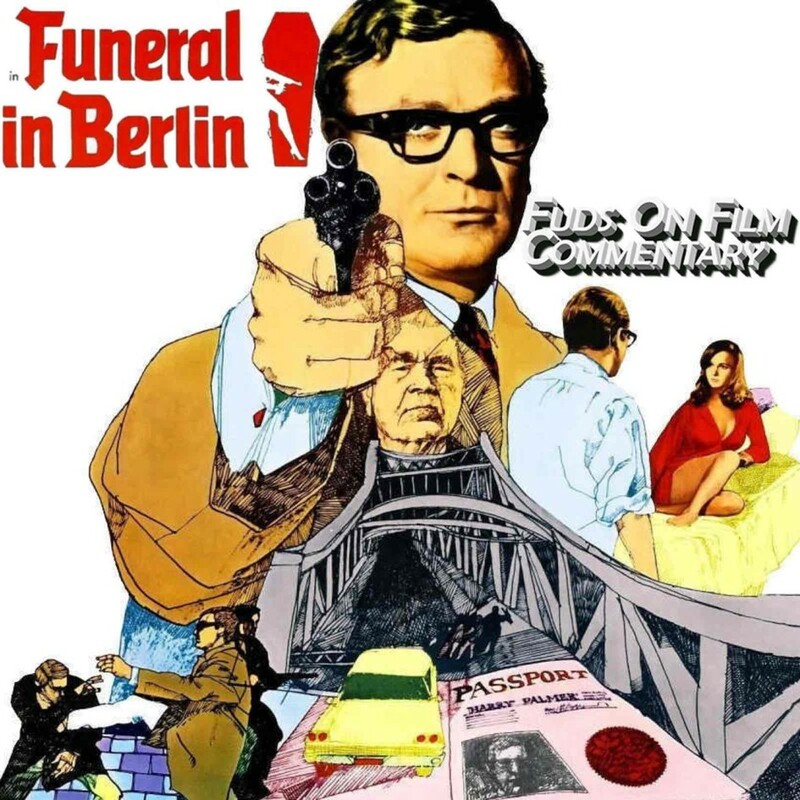 We return to the coldest of all wars and don a set of NHS prescription glasses as we delve in to Funeral In Berlin, featuring Michael Caine’s Harry Palmer navigating the tricky business of arranging the defection of a top Soviet Colonel across the Berlin Wall. This commentary for the second of the adaptations of Len Deighton’s classic spy novels to feature Palmer will thrill, enthuse and excited in equal quantities, although we’re not saying how large or small those quantities are. Just hit play on your podcast listening device of choice at the same time as your copy of the film and let us gently massage your ear canals. If you’ve been affected by any of the issues discussed today, please hit us up on Twitter (@fudsonfilm), on Facebook (facebook.com/fudsonfilm), or email us at podcast@fudsonfilm.com. If you want to receive our podcast on a regular basis, please add our feed to your podcasting software of choice, or subscribe on iTunes. If you could see your way clear to leaving a review on iTunes, we’d be eternally grateful, but we won’t blame you if you don’t. We’ll be back with you on the 20th with another frank free-form film flim-flam, but until then, take care of yourself, and each other.